“Your so vain, you probably think this song is about you,” were Carly Simon’s words. The title of the song might really be Narcissus because it’s a wonderful contemporizing of the famous character from mythology who drowns while staring at his own image. It's gotten to the point where the N word is so ubiquitously and frivolously used that it’s become almost meaningless. The word “narcissism” is like a stock that has split many times and undergone a great deal of dilution. Everyone is a narcissist and there are those who feel no compunctions describing themselves as such, much in the way that there are heavy drinkers who exhibit a certain bravado about their alcoholism. What’s brilliant about Carly Simon’s lyrics is that they function like a very good case study, like say “Anna O.” or the "Rat Man." 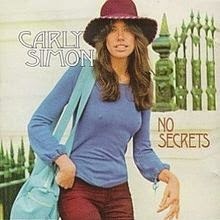 In fact, Simon would later reveal who was the subject of her song (“Carly Simon finally reveals the subject of You’re So Vain...record producer David Geffen,” Daily Mail 2/26/10). In describing her character, she says “You had one eye in the mirror as you watched yourself gavotte.” One eye in the mirror is indeed different from Narcissus whose two eyes were undoubtedly employed in his self-hypnosis. But the one eye is in effect a more incisive description of a wily pathology. A true narcissist gives you the impression that he or she is paying attention to you with at least one eye. Such pandering is in fact how they get your eyes on them. And what you're staring at is them doing a little dance, a gavotte. It’s a perfect lyric since it’s so different from an over ripe term like narcissism. You either know it or you don’t, but it’s disarming. Narcissus is of course not the only mythological figure used by psychoanalysts and psychologists to coin a condition. Oedipus was the most famous character from antiquity whose narrative was conscripted to describe a dynamic. But there are times when a poem or story, in this the lyrics to a song, can provide a fresh perspective. Why doesn’t Carly Simon compose a song based on the Oedipus or Electra complex?